Everyone loves to find a bargain so that’s why we bring you a special deal every week. Each week we will offer 1 product at a crazy price, but don’t wait around too long as most of our deals of the week are limited stock and tend to fly out of our warehouse. All of our deals of the week are sold on a first come first served basis, if you are not ready for delivery of your item but want to take advantage of our special price you can place the order and we will store your item free of charge for up to 60 days. Don’t worry if this deal isn’t your cup of tea there will be another bargain next week. Sign up to our mailing list to get the first opportunity to take advantage of our deals of the week. One time limited offer, instead of running a product for 1 week, we are now running this desk products in our DOTW promotion whilst stocks last! 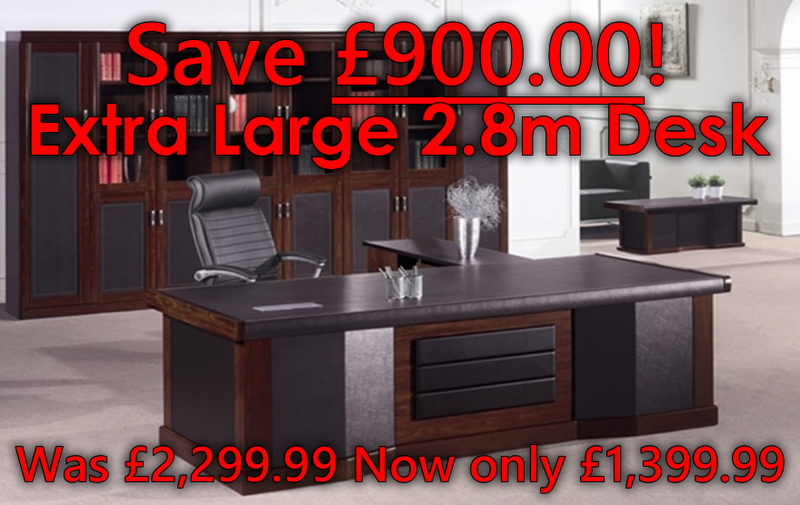 Click on the link below to view this amazing discounted desk!